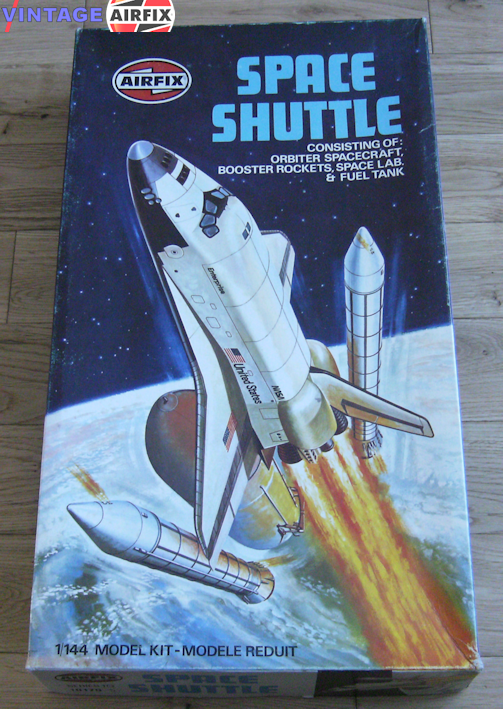 Blasting off the Earth in 1979, the first Shuttle Orbiter will herald a new era in space exploration. It will eventually operate a regular service flying various loads into space and then returning them to earth. It is launched vertically like the Apollo spacecraft but lands like an aeroplane. This exciting project is now captured in model form with this new kit comprising 92 parts and made up of the delta-shaped orbiter vehicle, the two booster rockets and the huge fuel tank.